Nike Golf is making another Covert attempt at driver sales. That is, the company today unveiled its VRS Covert 2.0 family of drivers. 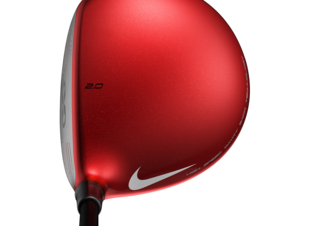 The VRS Covert 2.0 line is the next generation of the VRS Covert driver Nike Golf introduced late last year. The original VRS Covert driver was surprisingly good, so that leaves the Covert 2.0 with some big expectations. To that end, Nike Golf said it “re-engineered” the VRS Covert 2.0 with enhancements to the High Speed Cavity Back technology that allows players experience “more forgiving distance” than ever before. I’m not sure exactly what “more forgiving” distance is, but it sounds good. Perhaps Rory McIlroy knows. He’s one of Nike Golf staffers who played a VRS Covert 2.0 this past season. All that for six yards? At what swing speed? If you want those six extra yards, you’re going to have to wait until Jan. 31. That’s when the Covert 2.0 driver will be available at a suggested retail price of $299. The VRS Covert 2.0 Tour driver also will be available Jan. 31 for a suggested retail price of $399. Anyway, the Fly-Brace technology, Radcliffe said, is similar to an automotive frame design. “Fly-Brace technology reinforces the rearward portion of the club head to focus impact stress, flexing and subsequent energy transfer to the point of impact,” he said. The VRS Covert 2.0 drivers, Radcliffe said, also feature two additional proprietary technologies: A larger, re-engineered NexCOR face for increased ball speed and distance, and FlexLoft adjustability, which allows players to easily customize loft and face angle positions for 15 drivers in one. The redesigned NexCOR face, according to Radcliffe, incorporates variable face thickness for a faster, hotter face and as a result, more speed at impact. It is 15-percent larger in the VRS Covert 2.0 Tour driver and seven-percent larger in the VRS Covert 2.0 driver. With the FlexLoft system, players can adjust lofts from 8.5 to 12.5 degrees while independently modifying for three different face angle positions to optimize launch and spin conditions.